Now, THIEF = 2+3+1+4+3 = 13 ! If you are satisfied with the above solution, you can skip the below method. But if you are interested in knowing other methods and if you have time, you may check the below method too! My way (bit lenghty :P) - but could be helpful to solve other similar questions. Remember all the numberings for the letters T,H,E,L,I,F should be between 1 to 9 only ! here comes the problem, since T+H = 8, they should be one of (5,3) (4,4) (7,1) (6,2) and reverse order also. But we already chose 3,4,1,2, so none of the options is valid. So, frankly speaking, the questions has NO ANSWER ! You may even try assigning say 2 to E instead of 1, you should get the same answer ! but only thing is again T+H = 8, considering one as zero ! If you have options that says no answer, then go for it, if it's numerical type, then consider one letter as zero and solve the equation. This question is purely based on your observation. Anyway, you can do the following steps to avoid confusion. Assign unique numbers starting from 1, to the different types of colors. Now note the last number, which will give the number of different types of colors. This question is also based on your observation. Anyway, you can do the following steps to avoid confusion. Assign unique numbers starting from 1, to the different types of circles. Now note the last number, which will give the number of different type of circles. The situation is given in the below picture H stands for home, M for market, s for school, PO for post office. It's given in the question that when Alakananda travels exactly north from Market, she reaches Home, and it's also given that walking from school exactly in east 37km, will end up at Market. and from market, if she move towards east, she will reach to Post office. So, School, Market and Post offcie should lie on the same straight line. The below shown picture illustrates the situation for 6X6X6 cube. Cubes which are in edges (other than the corners) will have red color on their two faces. 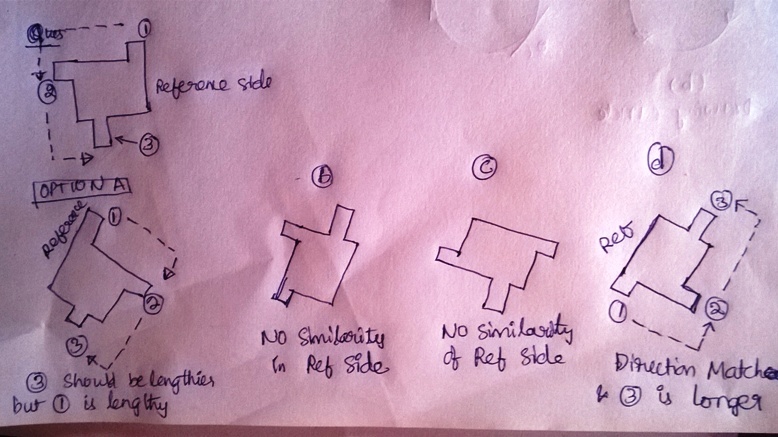 Consider the front face, if we were to cut the cube into small cubes of 1X1X1 shapes, then we need to make cuts as indicated by the straight lines (other than the edges) shown in the above explanatory image. For the given cube of size 6*6*6, we need to make 5*5*5. If we do so, then the individual cubes that are marked with symbols (as shown in the above examples for front side and side1) will have two surfaces with red. You may check the above image to get a clear understanding of the explanation. If we roll a tyre/roller on flat surface, it will complete one complete turn/revolution when it rolls to a straight distance equal to the circumference of the roller. Given, that the paper length is 40, so, the roller has to make 1 complete turn and additionally say > 3/4th of a turn but less than a complete turn, agreed ? This question is also based on observation. Since the geometry is symmetry, we can take a quarter of the symmetrical shape, and count the number of cubes, and multiply that by 4. Be careful while counting the central cubes. Better if you count them separately! The below picture supports the discussion to be carried. 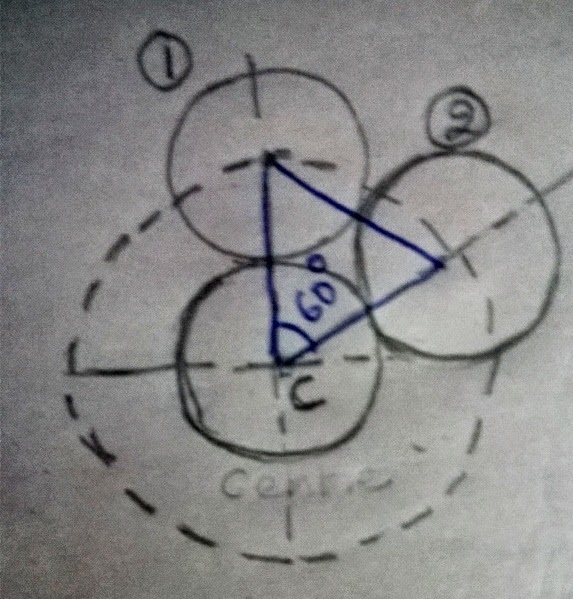 Let us just consider two circles (numbered 1 and 2) touching the center disc C. As you can see from the figure, the two circles makes an angle 60 degree with the center. Since, the lines joining the centers are of same length (twice the radius), the lines form an equilateral triangle (check the picture). 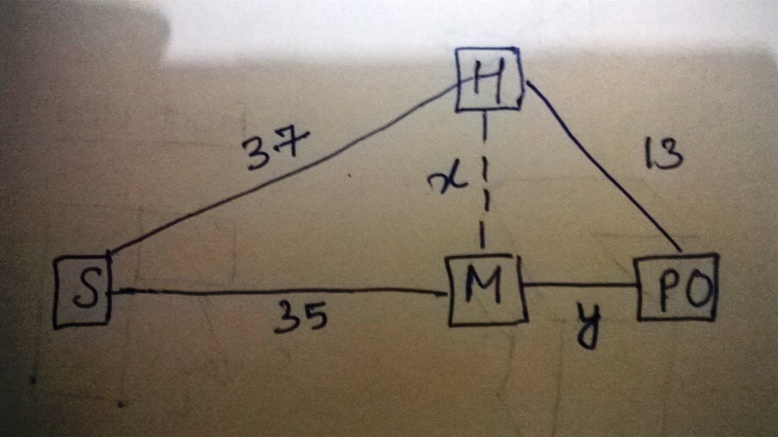 So, the total degrees (360) with that made with the combination of two adjacent circles (60 degrees) to get 6 as the answer. Also, since all mammals are fish, obviously part of the fish are mammals, so Option A is also correct, B is wrong, straight forward. C is also logically correct. 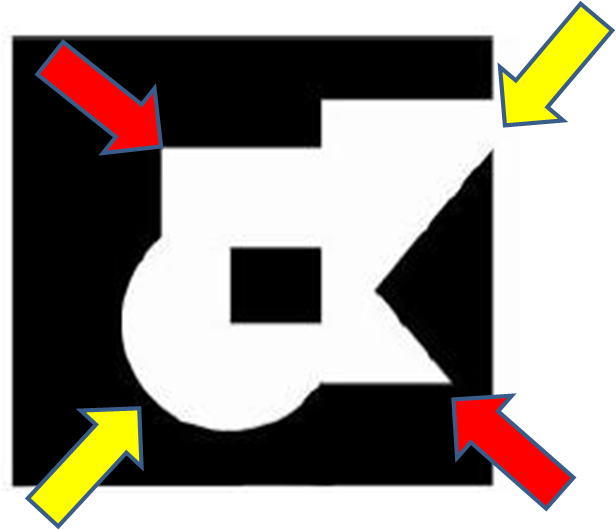 In the given picture, consider the following next picture, with arrows, Now only consider the yellow arrows, which are exactly opposite. Note the shapes - semi circle and gun shape, now observe all the options which have this pattern. Similarly observe the red arrows, triangle opposite to a part rectangle. 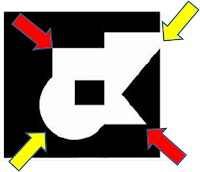 Also, don't forget the shape of the center black rectangle as per the rotated orientation of the options. The design definitely has mass with many simple instruments, and is on earth it definitely has to face gravity, If the case is like, there's no gravity, then that device should have to float without being in contact with the ground! So, the first option is definitely wrong. Also, the design has four stable long bottom stand support that would support a moving/dynamic human. So, fourth option is wrong. That's why it has no/least bannet at the front! Give numbering to the three rectangular projections of the given image. Three projections are there, so three numbers, follow either clockwise or anticlockwise numbering system. Start from a reference side, say right side of the given question. Remember this reference. Now, take all the options (one by one) and try to follow the same numbering system in the same direction as done to the question. Identify where the reference side is and start from there. Visually check the distance between the number sequence in the assumed direction. If it's in correct order, then list those options. 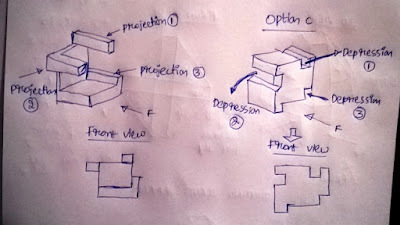 Now, check the options that have depressions at the same location as projections are in the given question. Option C matches as shown in the picture. 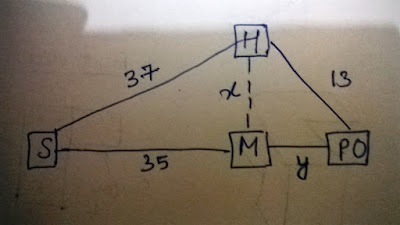 If you observe the middle shape (stick human figure), then he is not at the maximum height nor is falling down (In terms of physics - he is in the travel of ascent). In other words, he is moving away from earth (against the gravity) ans so the air will try to push hum down. It also tries to push his cape to the down. So, it's almost vertically downward - Option A matches. If he were to jump from top, or he is falling down, then the air will again try to oppose him in opposite direction to his travel, In other words towards up. So, the direction of the cape should also be vertical (In actual, the direction would most probably be in the curve (parabola) of the travel/path. Figure shows one possible shape of the nib which can draw as shown in the question. 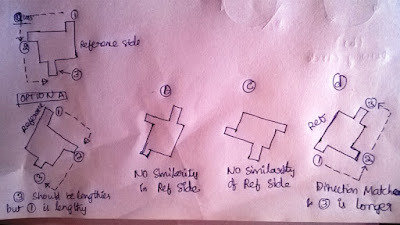 Remember Indians have the habit of drawing from left to right. And the given straight line is projected towards left. So, the nib should also project towards left as I showed in the picture. Now, if you are to draw a circle, you will obviously start from the top and move in anti clockwise direction as shown in the image (b). 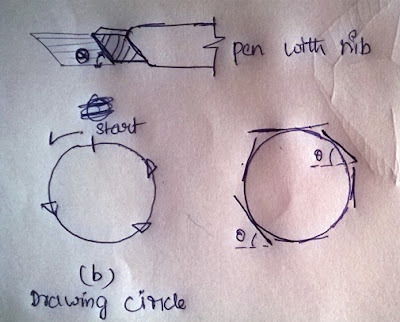 Now, if you use the given nib, ans start drawing a circle, then you have to expect a sharp line (instead of broad width line) at the place where the nib moves parallely in the direction of the nib angle. To make it simple, if you assume tangent lines, drawn over the circle (b) as shown in (c)then the location on the circle at which the tangent angle is same as the nib angle is where the line will not be thick, got it ? So, using this logic, option C is the answer. It's straight and I guess I don't have to explain this. If you still have doubts, then you may drop a comment, I will give proper explanations like I did for other questions. This question is usually solved by practising similar questions - by deriving logic from the given paragraph. I guess, I don't have to explain this. it did a great help thanks god bless you ! i am really nervous about the exam as there are only 30 seats for iit bombay canyou please tell that at this moment what all we should go through ? Since only one day is left, mostly cover GA questions (if u have practised some thing on geo and observation ques), including envi. study. If possible, go thru samples of numerical and aptitude ques and memorize the procedure or steps used. Better skip comprehension type ques for now ! You can find GA topics in this blogs resource page. okk ya and it's really confusing somewhere. 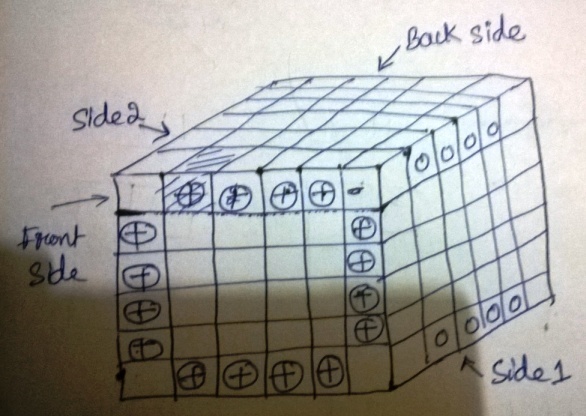 In ques 5 of uceed 2015 ques paper; u hav solved it by taking 6*6*6 cube but in ques paper it is given to be 8*8*8. Please solve the ques accordingly. well, if u know the sol for 6x6x6, then you shouldn't have any problem solving for 8x8x8, try from your side and check the answer. Hopefully everyone can do this after checking my procedure for 6 sided cube! but the answer mentioned in the answer key for 8*8*8 cube is 72. 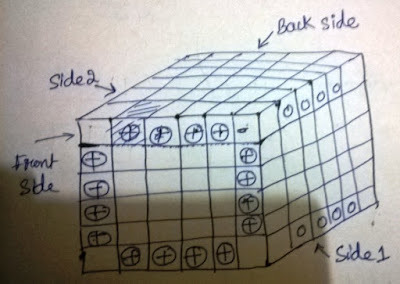 Ya, I just went through my own solution, actually I gave pic for 6 side cube for understanding but solved the actual 8 sided cube problem, that's why you can see that the answer is 72. So, whatever explanation I gave 28+28+..... is for the actual 8 sided prob. Now I hope your confusion is cleared ! Could you please also go through the 2015 UCEED paper and post its solution. That would be tremendously helpful. Also, I couldn't find any book in your list that could tell me the answers to the questions like which painting is by Paul Klee or some other painter. I mean, how am I supposed to know all this? 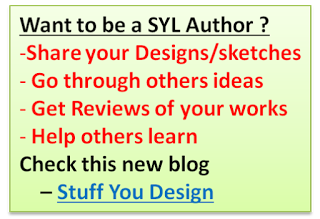 Questions like who is the painter etc are GA type and has to be memorized with no other options or shortcut, Some famous painters/artists details are given in my blog ceed and uceed resource page. Rest you can just google it and get them. 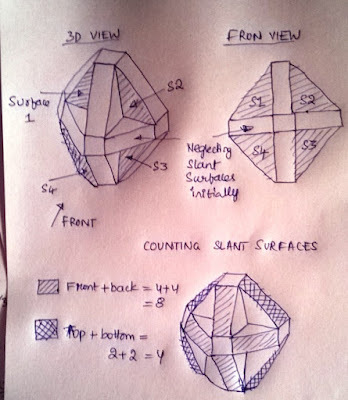 coming to uceed 2015 prev paper sol, if i get time, i will solve them and share asap. The link to the official sample paper isn't working. If you have it saved in your computer, could you please upload that in dropbox and replace it with this link. Thanks. Also, do you know where I could get the art GA material(from the previous question? the link to 2015 uceed official sample ppr is not wrking? ?